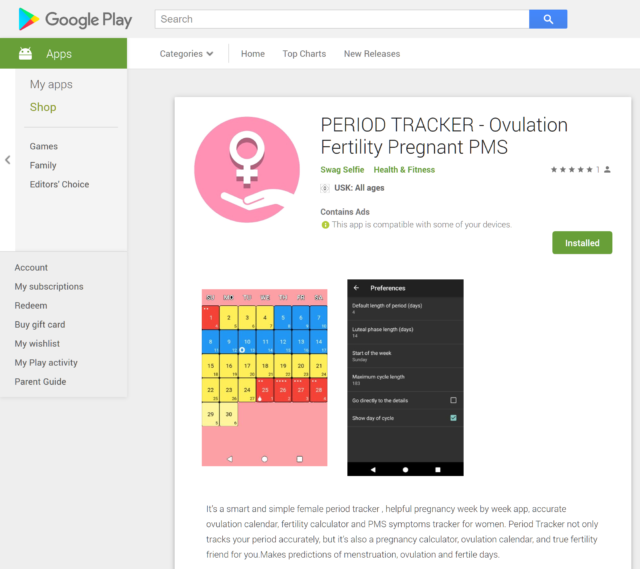 Recently someone informed me via Github about a copy of Periodical on Google Play, which was published as “Period Tracker” – however without the modified source code and without mentioning the original source, which is a clear violation of the GPL. What I am really upset about: in the app itself I am still mentioned as the author. But this is not true for that special version! I have no influence on what the publisher “Swag Selfie” did change in the code. Also the note “Contains Ads” does not sound very trustworthy – I don’t use ads in my app (also see Periodical at Google Play). I already contacted the publisher via the given contact address. If he does not respond I will take further steps.